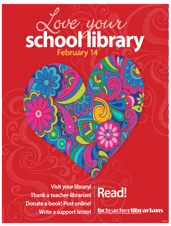 Looking to create some visibility for your February activities in the library? Consider running a LYSLD event. Pick one day, one week or go for the whole month. There are English and French posters and bookmarks on the BCTLA resource page.